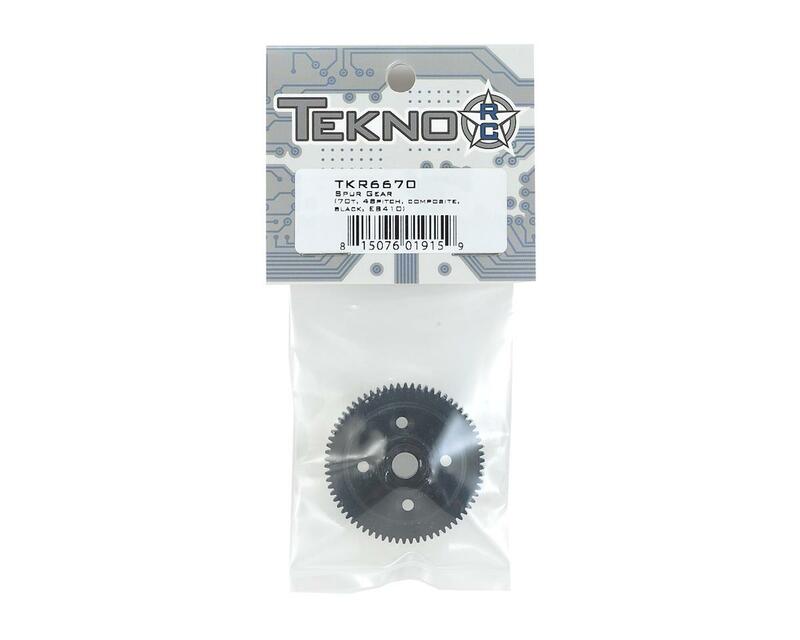 The Tekno EB410 70 Tooth Composite Spur Gear is recommended for 13.5 or higher turn motors. If you were running a 25 tooth or larger pinion with the stock spur, this optional spur allows you to run a smaller pinion. Plus, when you combine this spur with a smaller pinion, the motor will be more centrally located providing better balance. 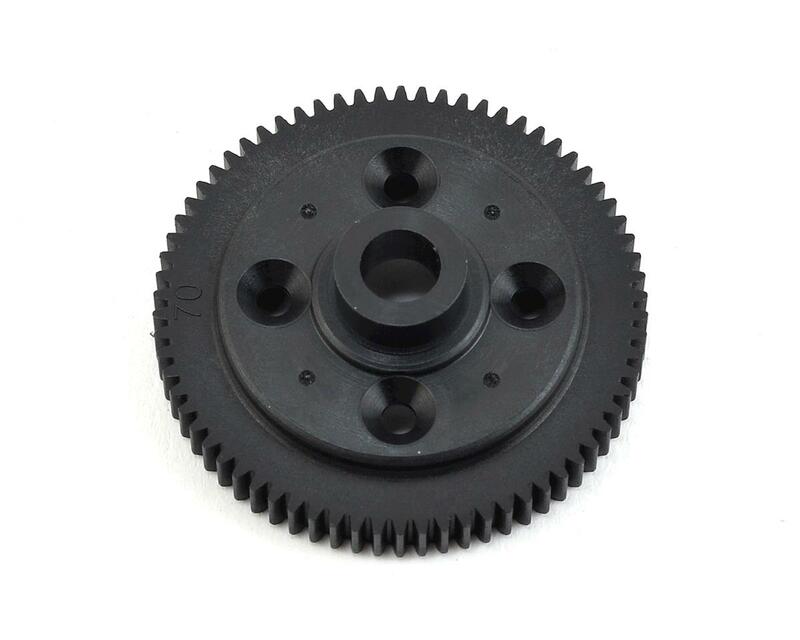 This spur is especially helpful in stock motor racing as it allows for additional gearing options while reducing the driveline’s rotating mass.